With the addition of the DVR motor to the lathe, it was transformed into a stunning machine, powerful, energy efficient, futuristic even. 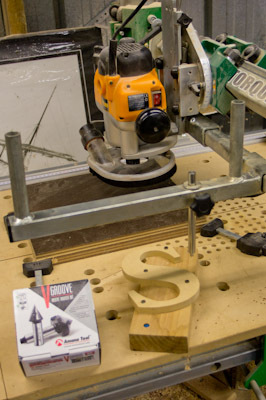 Teknatool are developing a DVR drill press! No more belts, pulley slippage, belt vibration. No more bogging down of a drill bit as the bit meets resistance and because of the pulley ratios, the motor is stalled. The ability to easily tilt the drill head over and angle it to the workpiece which is maintained on a flat surface, rather than having to angle the workpiece to a fixed head. 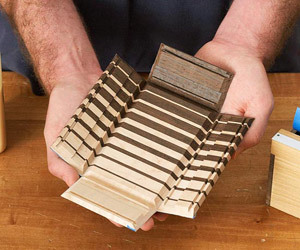 I know there are some drill presses that can achieve this, but few and far between. Instead of drilling a hole at whatever speed that the drill press is set for (and just how often do we change the belt speed for a single hole)? you’d have no excuse not to dial in exactly the right speed, each and every time. It is going to be a great drillpress! Thinking about it, with the motor onboard the head (direct drive), then the plunge mechanism moves the whole lot – chuck and motor combined. There is no limit then to the amount of plunge that is available. Looking forward to seeing the DVR motor included on other machines – thicknessers, saw tables, bandsaws etc. Instead of a router mounted under a router table, how about a DVR motor? Seriously awesome! Melbourne Guild of Fine Woodworking has managed to drag the Schwarz to our shores in 2013, to run a number of Master Classes. These include The Anarchist’s Tool Chest, Hammer in Hand and Shaker Wall Cabinet. Each course would be absolutely fascinating, and you’d learn a huge amount about handtools and techniques. The cost for a 5 day course is $1760 (the first two), and the 2 day Shaker cabinet is $695. Needless to say, I am SERIOUSLY tempted! Bigger is normally regarded as better, and often that is quite a justifiable position. Larger router bits can handle higher loads, have more chunky carbides, can handle higher feed rates. But they cannot do everything. Something I have been struggling with for a while, and especially when working with smaller designs is that the large router bits are, well, too large. When pattern copying a fine design for example, the large bearing rounds off a lot of the detail. So it is with definite interest I discovered the miniature router bits from Toolstoday.com. The bearings are 3/16″ (4.76mm), so it is capable of really getting into tight spaces. 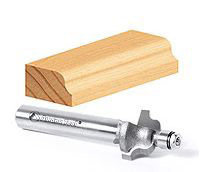 Some other small router bits use a non-bearing pin to achieve this, but this leaves the guide pin rubbing against the workpiece at 20000RPM, the friction of which quickly leads to heat buildup, and burning of the edge. There are a number of different profiles in the range, so it isn’t just a matter of being able to copy more intricate patterns with a straight bit, but also being able to apply edge treatments in tight spaces. 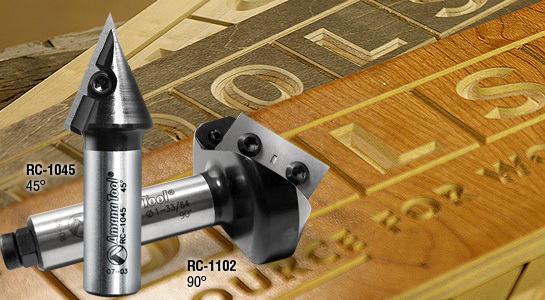 The router bits are 1/4″, so able to fit in standard routers either directly, or with a 1/2″ – 1/4″ collet. The flush trim bit is always an integral one for a set – it is particularly potent when used to duplicate a template. 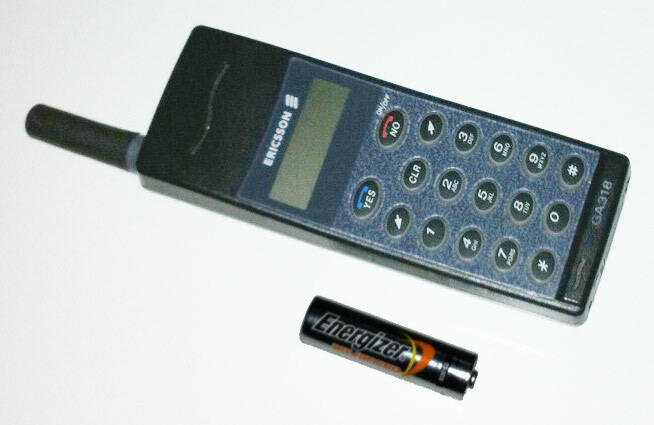 You may choose to use this miniature version in combination with its bigger brother. The larger one can cut the majority of the outline around the template, then follow up with the miniature one to push right into the detail areas. Might as well not force the bit to do any more work than necessary! 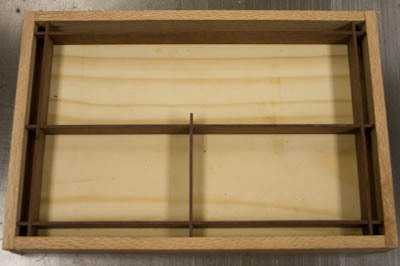 The rabbet bit would be useful in making small boxes, and very small picture frames. 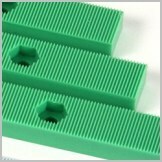 The first of the edge treatment bits, the chamfer bit can be used for edging, and producing a miter joint. 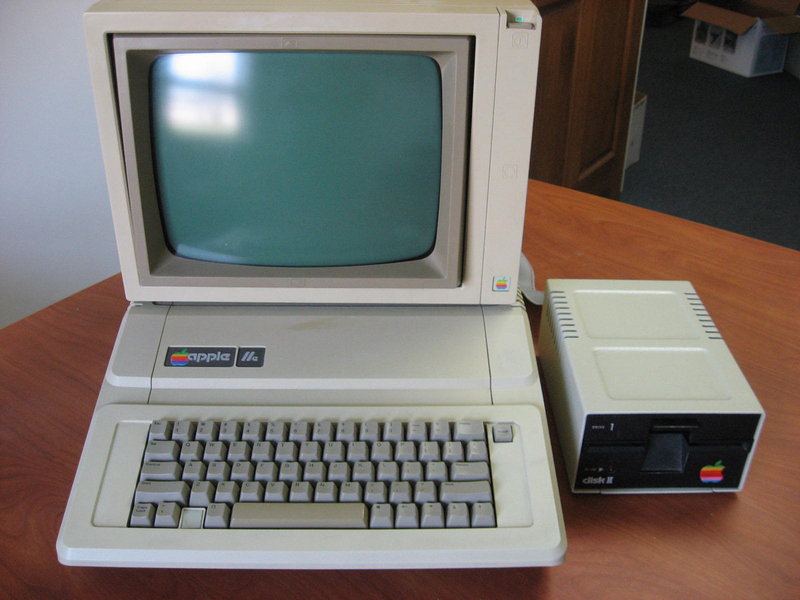 The one pictured above produces a 45o chamfer. There is a second one in the range that produces a subtle 7o chamfer. A couple of different radius round over bits are available. These are particularly useful in toy making, used to soften edges of toys. And the classic profile, the Roman Ogee. 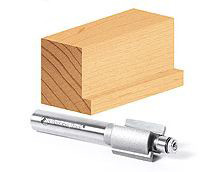 The profiles may be no different to the other common ones in your router bit set, but the size will make a big difference in what you can achieve, in situations where you would have had to find an alternate (and often with a compromised finish) option. As mentioned yesterday, the trays I made felt rushed, and subsequently I wasn’t happy with the results, and so a remake was in order. One of those things – less haste, more speed. I decided that I really did want it to have dovetailed sides – the wall height was around 20mm, so it would involve a single pin and two half-tails, with a wall thickness just sufficient for the Gifkins Dovetail Jig. 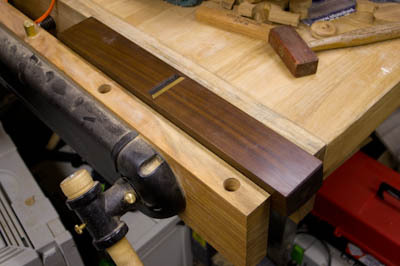 Once the Silky Oak was machined square and to size, the dovetails were cut and the sides dry-fitted together. It was only a dry fit at this stage, as I wanted to have a captive base, as I had done for the main box. With a clamp holding the box together, a groove was cut all round the inside of each tray, about 5mm from the bottom and 5mm deep. 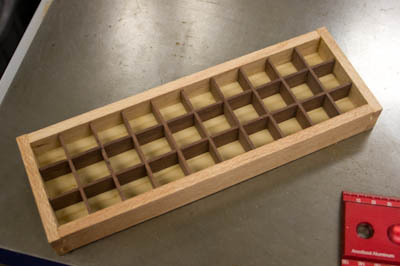 The inside dimensions of each tray were again measured, and 10mm added to give the size for the base. In reality, I tend to cut it about 0.5mm-1mm undersized, so there is no chance the base will stop the sides coming together completely during the glue-up. How I measure this is with a rule, and in this case I regularly turn to the Woodpeckers Rules, which are particularly easy to read. 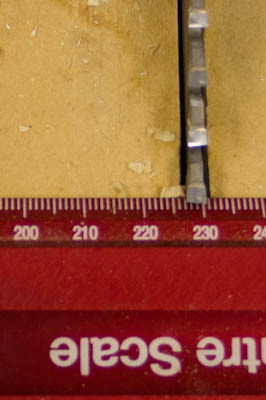 By setting the reading under one of the teeth (and ensuring the desired dimension is on the correct side of the tooth), I set the fence position (or the stop on the mitre gauge, depending on the cut – rip or crosscut). The photo doesn’t show an actual measurement, but in any case accuracy is always something both difficult to achieve, and worth pursuing. Even measuring to the edge of the tooth is not an assured result. 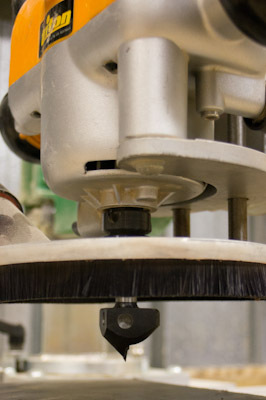 All blades (and all tablesaws for that matter) have a degree of runout. The only real way of determining a measurement is with a test cut. You can take some steps to actually get accurate measurements, but it still involves a test cut, and measuring to the side of a specific tooth, and measuring to this tooth each time. So long as the blade does not slip on the arbor, and you do not change blades then this will then remain reasonably accurate. In practice, this degree of accuracy is rarely needed – wood is reasonably tolerant in any case, and there are other ways of ensuring accuracy. One is gang-cutting. 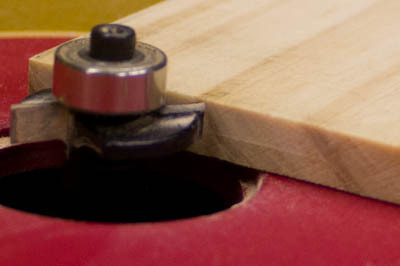 If I want two sides to be cut to exactly the same length, you can either use a fixed stop that each side butts up against (such as the Incra Shop Stop), or cut both sides at the same time. Back to the bases, once they were cut to size, it was over to the router table to cut the rebate around the edge. To set it accurately so the base sits flush with the bottom of the sides, I use the same router bit as used to cut the trench. It needs to be dropped an accurate amount, and I have a reasonable way to achieve that, and it doesn’t involve a rule. A router bit is a power chisel, so I use it as such. Without turning the router on, I lightly scrape the endgrain just enough to reveal the exact height of the router bit. This leaves a mark to line the router bit up with when dropped to the lower position. 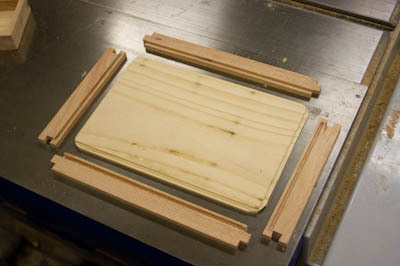 Each tray got glued and clamped. One interesting aspect of dovetails, is you primary clamp the tail sides, which pulls the pin sides in. I still use a clamp to ensure the actual joint is not loaded up until the glue sets – you don’t want the wood fibres getting compressed unnecessarily. You may note that I used pine for the base – given I planned to cover the working surface with felt, I didn’t see the point wasting top quality timber in that situation. It doesn’t look bad from underneath, and will rarely get turned over in any case. 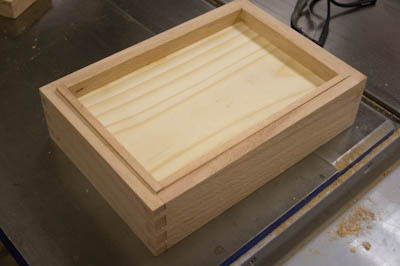 Once the trays were glued, and sanded, I tried the fit to the main box. You know you have the fit pretty right when the tray struggles to sink into the box – not because of friction between the sides but because of air pressure in the box! With a little more sanding, it slips down nicely, still with a little resistance, and a very satisfying “shhhh” as the air escapes. Love it! I had another detour at this point. 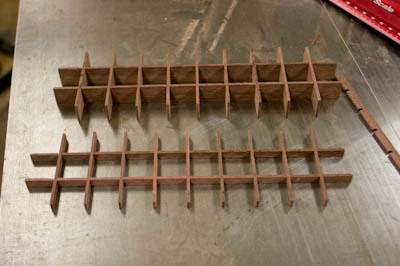 After the trial a week or so earlier of the dividers, it was time to make them for real. 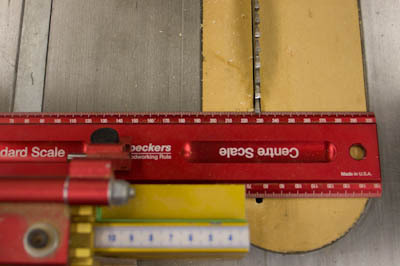 The dividers were cut with the thin-kerf CMT blade, and again the Incra Miter Express proved invaluable. FWIW, Incra and Woodpeckers gear all comes from Professional Woodworker Supplies, and the CMT blade from Carbatec. Thought I’d mention it if you were looking at what I use. I was happy with the main tray with the dividers made, but when I fitted them into the smaller tray, it looked too hard to get the individual charms out, and too much like a iceblock tray. Again, when not being prepared to accepting something not quite right, I decided there was no option but to remake the dividers for the upper tray. This time, I chose a wall height of 6mm. When working with power tools, that is small, and risks putting fingers too close to blades. So it was time for handtools. 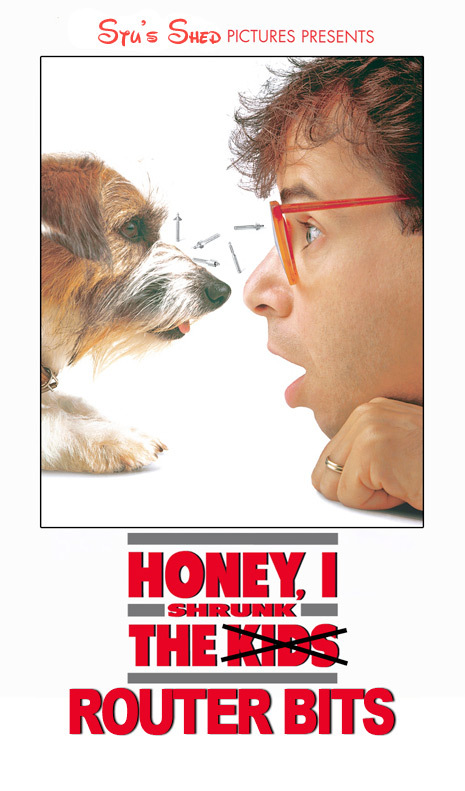 Yeah, I know – shock, horror. The sides were cut close to the height required, and then it was time for the handplanes. There was no point trying to bring a handplane to the individual piece – too hard to see what is going on, let alone controlling it, so I reversed the situation, and used the plane in the same way as it’s power equivalent: inverted! So I took my HNT Gordon Trying Plane, and mounted it in my Veritas twin-screw vice. The individual sides (the dividers) were then run over the top of the blade. The blade was set for a very light cut – there is no rush! If you haven’t set a traditional wood plane blade before, there are no adjustment screws, it is all done with a careful tap tap of the wooden mallet you can see in the top right of the photo. So the new dividers in comparison with the original ones – chalk and cheese, and right. I haven’t mentioned how I cut the slots, other than the Incra Miter Express. The short lengths were done very easily in two passes, and all gang-cut at once. 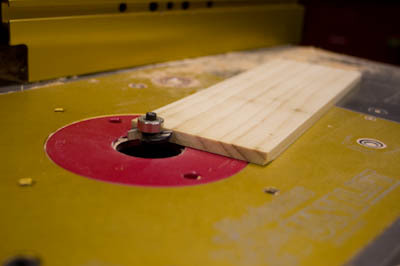 With the Shop Stop set, the first slot was cut, and then the whole bunch rotated and the second cut. Took no time at all. I had made some trial cuts to ensure the blade height was just right. These V groove racks that ensure accurate positioning of the Shop Stop are invaluable. So the whole jewellery box was coming together. 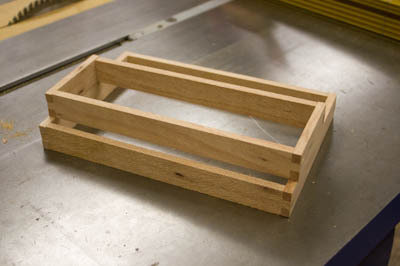 Next, we will look at the lid, and then final assembly. Hope you are enjoying the process! There are router bits, and router bits. 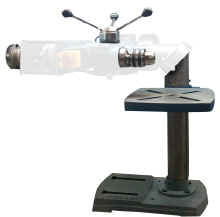 They come in a substantial number of shapes and sizes for a vast variety of functions. 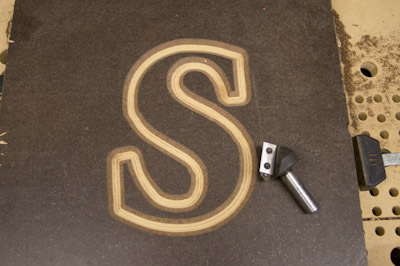 Signwriting is a rather popular use for routers, given its particular ability to operate around curves and corners, its ability to follow templates and a router bit is basically a powered chisel. Now chisels come in two types. Ones used to shape wood, and ones used to open paint cans. 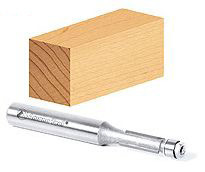 If your router bit isn’t razor sharp, you might as well use it to open paint cans – the difference between a sharp and blunt router bit is chalk and cheese. 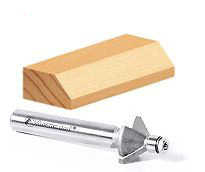 If you want a smooth, clean finish, the router bit needs to be as sharp as is achievable. Tungsten carbide is not the sharpest material possible, but because of its hardness and durability it is preferred for the cutting edge of router bits and saw blades. Face it though, sharpening it is a bugger. Quality router bits are sharpened by CNC machines, able to produce polished carbide faces, but even a quality bit blunts with use. 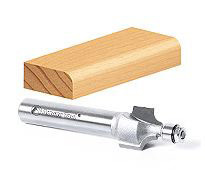 You can send a bit away for sharpening, but the way to really get as sharp as new, is to have a new router bit. Guess we really want our cake and get to eat it too! 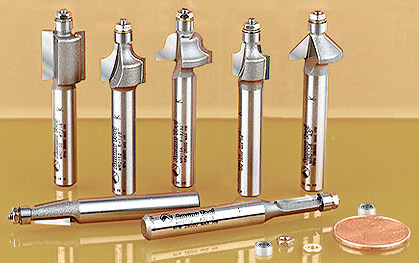 I’ve been trying out a couple of router bits that hit all these points – the professional signmaking bits from ToolsToday, by Amana Tool, and in particular the Insert V-Groove bits, that have replaceable inserts. These are not bits for massive stock removal – there are bits with significantly heavier chunks of carbide for that operation. These are designed to achieve one particular feature – significant sharpness, and the ability to maintain that by easy tip replacement. The angle that they approach the work is also important – sharpness is only one part of the formula, and the angle of attack is also critical to avoid tearout. 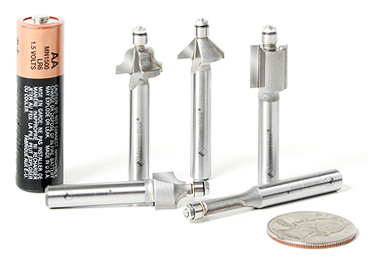 These bits are designed for CNC machines, and router tables. So of course I turned straight to my ‘manual CNC’ machine – the Torque Workcentre. To try the bits out, I set up with the copy attachment, and chose a letter to duplicate as a first trial. The 1/2″ bit is mounted (this is the 90 degree bit – with the blade set at 45 degrees, the resulting groove is an exact 90 degrees. 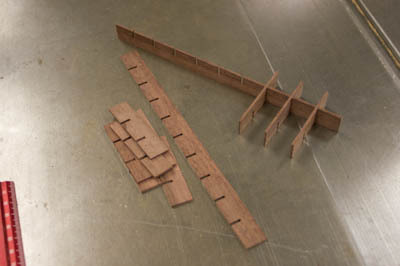 There is also a 91 degree version for ‘mitre folding’ – this is where you cut a groove, then fold the material at that groove – used in furniture making with melamine and the like to get a sharp corner, with the outer skin being continuous around the corner, and not with a cut at the very corner). The first pass went well, and a very clean cut. I then increased the cutting depth for a second pass. It comes down to how you use the Torque, but as a general rule this isn’t pushing the bit as much as a CNC will – it has a much higher feed rate tha what you’d tend to do by hand. Still, it coped well. I then changed the copy pin to one with a wider diameter (from 1/4″ to 1/2″) and ran around the template again. The bit cut really cleanly, and easily. 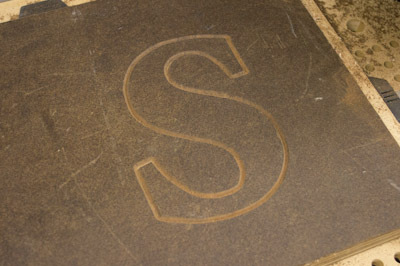 Don’t judge the small indentations around the curves of the “S” – that comes down to the smoothness of my template. I can really see how well this would also work on an actual CNC machine. If you want a fine cut, then the 45 degree bit is for you. 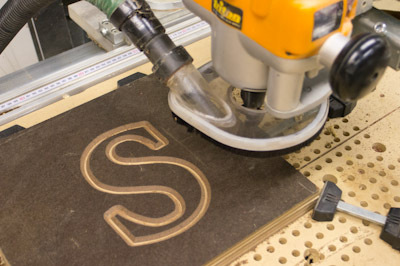 With a combination of the two bits, you can cut large solid letters, and fine, precise details. And as they dull off (as all bits will with use), the cutting surface can be removed and replaced or resharpened as you desire, without having to incur the price of a new router bit. Available from ToolsToday.com in the USA. Now you can have your cake and eat it too…or in terms of router bits, you can always have sharp router bits and use them too!